Good food comes fresh from the farms of America. Now you can get farm life side tear checks with fresh eggs, milk and barnyard scenes at cheap prices. From corn, soy beans, wheat and other crops that make up many of our favorite food dishes to rows and rows of vegetables, these farm life checks remind you of the farm. If you have fond memories of growing up on a farm or visiting farms as an adult, or are actively farming, you may like these personal side tear checks. All are up to 70% off regular bank prices and have the easy side tear feature. Farm land scenery grace these wholesome checks. With easy online ordering, your farm life side tear checks will come to you quickly through the mail. 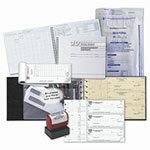 Enjoy our personal checks with matching checkbook covers and address labels. Thank you for shopping at Value Checks where you can order low prices on checks and get a great bargain!